To say this clip's tough to watch is to undermine its power to motivate. It's a brutal way to do TedTalks, sure, but make no mistake: There's healing in not forgetting the pain of it all. When heartbroken San Antonio Spurs reconvened at training camp to prepare for the 2014-15 NBA season, it had been widely reported that legendary coach Gregg Popovich made his team watch Game 6 of their heartcrushing battle with the Miami Heat in the 2013-14 Finals. "We start where we finish," Chip Engelland, former Northern Consolidated stalwart, Spurs shooting coach, and the NBA's acknowledged "Shot Whisperer," told ESPN's Ramona Shelbourne three years ago. "It's hard to do that. Those were tough days." In that game, the Spurs—who were leading by 3 with 5 seconds left—were a solid stop away from winning what could have been their fifth NBA crown. But a Chris Bosh offensive rebound off a Lebron James miss and quick assist to back-pedaling gunner Ray Allen led to one of the most celebrated clutch three-point shots in NBA history. Lebron and company won in overtime, before finishing off the Spurs for good in Game 7 to win their coveted back-to-back championship. A year later in their championship grudge match against the Heat, the fired up Spurs wasted no time toying with the defending champs. Sweet, stunning revenge came in the form of an 18.5 average winning margin, predicated on the Spurs' now-famous brand of unselfish basketball. It took them just five games to be completely cleansed. 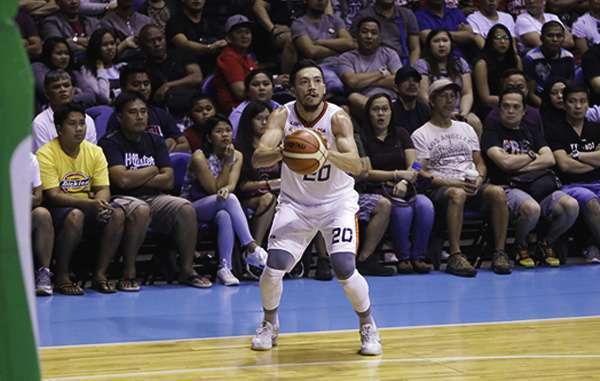 This year's PBA Governors' Cup Finals rematch between top-seed Meralco Bolts and third-ranked Ginebra San Miguel is an opportunity for the former to exorcise the ghosts of their failed championship bid in 2016. 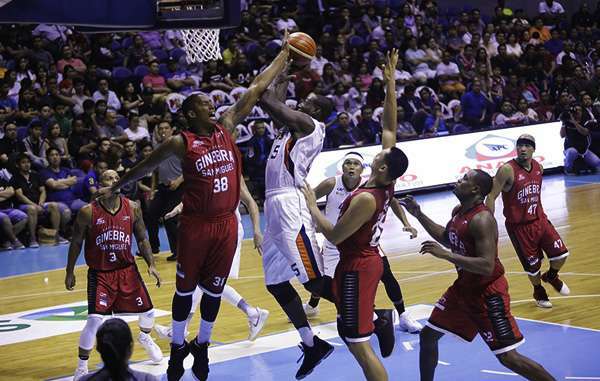 And having that Justin Brownlee-bannered video of doom playing on loop may very well be the key to keeping coach Norman Black's gritty gang of over-achieving young guns and vets triggered and focused on what needs to be done. As storylines go, hearing the Bolts proclaim "Vengeance is ours!' at the end of the series is way sexier than seeing the Gin Kings survive yet another spirited stand by their budding rivals. We feel it's the perfect outcome to set up an explosive Bolts vs. Gin Kings 3 clash next year—basketball gods permitting, that is. Don't think, though, we're purely anchoring this forecast on fantastic spells and fairy tale hex. We recognize it's going to be an ordeal unseating the mighty defending champs from their throne. The numbers are pretty hard to dispute. 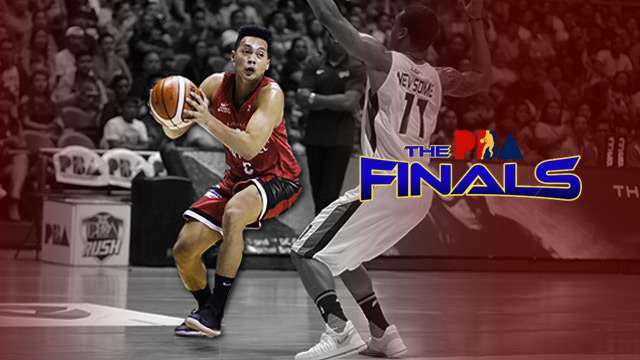 In the Finals contenders' last five games, Ginebra has scored an average of 108.4 points compared to Meralco's 91.2. During this stretch, veteran Kings guard L.A. Tenorio (15 points, 8 assists, 4.4 rebounds) and towering sixth man Greg Slaughter (15 points, 6.6 rebounds, 2 blocks) bannered Ginebra's local firepower, with Joe Devance and Japeth Aguilar (6.4 rebounds, 2 blocks) contributing 12 and 10 points respectively. Meanwhile, Justin Brownlee (29 points, 10.6 rebounds, 4 assists) and Scottie Thompson (8 points, 8 rebounds, 4 assists, 2 steals) typify the Tim Cone-helmed squad's formidable versatility. Also, their wildcards—Sol Mercado (10 points, 3 rebounds, 2 assists, 2 3PTM) and Nash Racela-declared semifinals series MVP Kevin Ferrer—are capable of erupting at opportune times. What's going to be troubling for Ginebra is, they're going up against the stingiest defensive team in the league. 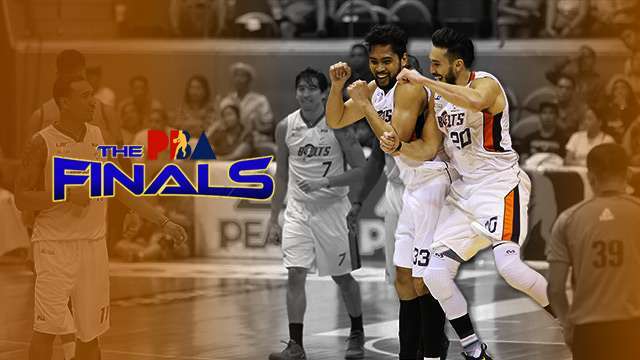 Meralco Bolts in fact only surrendered 89.8 point a game during the elimination round. The Gin Kings, in fact, got a taste of the Bolts' most vaunted weapon in their lone Governors' Cup game earlier this year. Last year, Meralco held the eventual champs to 94 points per game while outrebounding them 268 to 259. Coach Black is unlikely to tinker with the formula that almost got them to the top, especially now that they're healthier and coming off an eight-day rest. This lockdown mentality naturally begins with the Bolts' seemingly indefatigable reinforcement, 2016 Best Import Allen Durham. 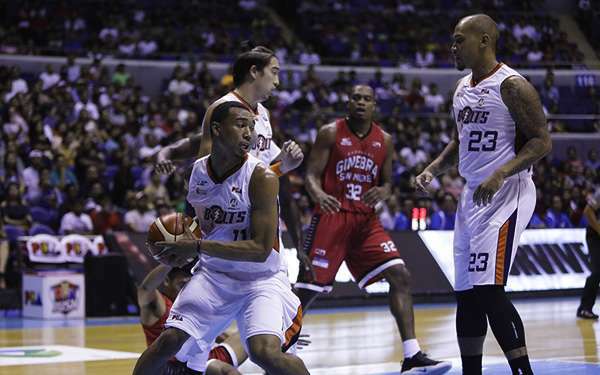 In Meralco's last five games, he's norming a whopping 22 rebounds per game while scoring 20.2 points. Relentless on-ball defenders Chris Newsome (10 points, 5 rebounds, 4 assists), Jared Dillinger (14 points, 3 rebounds, 3 assists, 54 3PT%), Cliff Hodge (10 points, 6 rebounds, 51 FG%), and newly acquired secret weapon Ranidel Ocampo (10 points, 6 rebounds, 2 assists) are going to be pretty hard for Ginebra's foul-proned frontcourt to elude. Then there's X-factor Baser Amer (15 points, 2.4 rebounds, 5 assists, 3 3PTM), who's poised to be a legit threat from beyond the arc, a role Bolts assistant coach Jimmy Alapag's inconsistently stepped into last year. The Bolts will look to dictate the pace against Ginebra starting tonight. They're going to play rugged. They're going to run every time they wrest the rebounding advantage from the Kings. They should be pretty psyched to get the job done. And in seven games, they will finally savor electrifying success.